Nilufer Ertekin-Taner, M.D., Ph.D. (NSCI ’03, I-1 ’04, N ’07, NBN ’08), and Aleksandar Sekulic, M.D., Ph.D. (IMM ’99, DERM ’00, I-1 ’01, CI ’03, DERM ’06), have been named Mayo Clinic Florida and Arizona Investigator of the Year, respectively. The award honors researchers who have made significant advances that strongly influenced their fields of research. 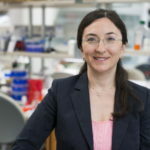 Dr. Ertekin-Taner is a professor of neurology and neuroscience on Mayo Clinic’s Florida campus, where she leads the Neurogenetics Research Laboratory. Her lab focuses on uncovering the mechanisms that lead to Alzheimer’s and other neurodegenerative diseases through genetic discoveries. She is a clinician-scientist who is board-certified in both neurology and behavioral neurology. She has made major contributions to the understanding of Alzheimer’s disease and related dementias. Dr. Ertekin-Taner was born in Izmir, Turkey, and graduated from Hacettepe University Medical School in Ankara, Turkey. She continued with advanced studies in molecular neuroscience at the Mayo Clinic College of Medicine in Rochester, where she also completed her residency in neurology. She received her Ph.D. in molecular neuroscience at Mayo Graduate School, Mayo Clinic College of Medicine in Rochester. She is chair of the enterprisewide Research Personnel Subcommittee, chair of the Mayo Clinic Research Pipeline K2R Program, and program director for the Behavioral Neurology Fellowship. She is a member of the National Alzheimer’s Coordinating Center Scientific Review Committee; and the American Academy of Neurology (AAN) Annual Meeting, Aging and Dementia Topic Chair. In addition, she is a mentor of young researchers and an active member of Florida’s Alzheimer’s Disease Initiative. “She is a thoughtful leader and superb physician, in addition to her extraordinary and prolific scientific career,” said Alfredo Quinones-Hinosa, M.D. (NS ’16), William J. and Charles H. Mayo Professor Chair of Neurologic Surgery at Mayo Clinic’s Florida campus, in a letter of support to the nomination committee. 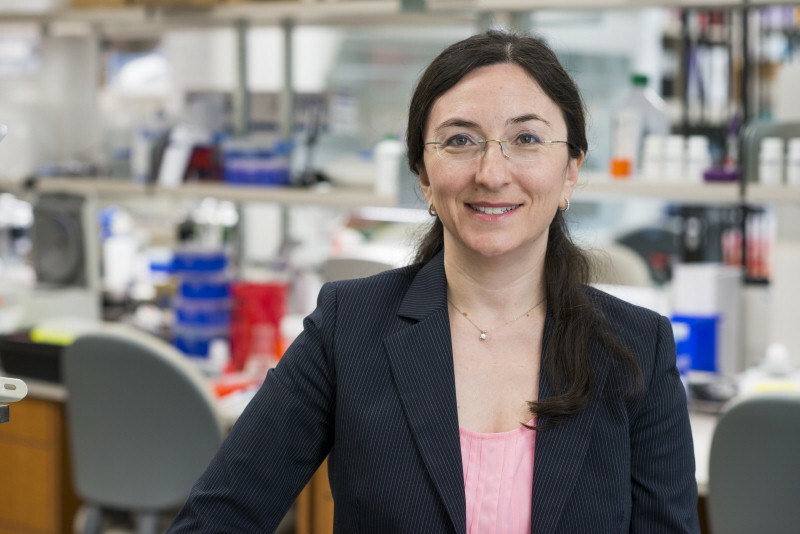 A newly funded $5.7 million grant from the National Institutes of Health will advance the research of Dr. Ertekin-Taner and her lab to study “Alzheimer’s resilience,” identifying biological factors that protect people from dementia. A renewed $8 million grant from the National Institutes on Aging was granted to Dr. Ertekin-Taner and two other principal investigators for a big-data project researching pathways in the body’s immune system that contribute to Alzheimer’s disease. Dr. Ertekin-Taner has received funding from the Florida Department of Health through the Ed and Ethel Moore Alzheimer’s Disease Research Program. The program supports research leading to prevention, diagnosis, treatments and a cure. One area where Dr. Ertekin-Taner has focused her research is highlighted in a study on Alzheimer’s in African-Americans. Her research team found a new gene mutation that could be identified as risk factor for late-onset Alzheimer’s in this population. Dr. Sekulic first came to Mayo Clinic in the early 90s, as a visiting graduate student from Croatia, to attend Mayo Clinic Graduate School of Biomedical Sciences in Rochester. Over the course of the next 15 years, Dr Sekulic would continue his advanced studies at Mayo Clinic College of Medicine, earning a doctorate in philosophy in biomedical sciences-immunology and pursuing a postdoctoral fellowship in dermatology. Research was interwoven into Dr. Sekulic’s clinical pursuits early in his career. During his residency in dermatology, he participated in Mayo’s Clinician Investigator Training Program. Dr. Sekulic joined Mayo Clinic’s Arizona campus in 2010 as a consultant in the Department of Dermatology and initiated the first investigative research program in dermatology at that campus. Over the next few years, he was named to several of his current leadership roles, including vice chair of the Department of Dermatology, associate director of the Center for Individualized Medicine and director of Mayo Clinic Cancer Center in Arizona. Dr. Sekulic’s peers say his impact on Mayo’s research efforts has been indelible and far-reaching. And Dr. Sekulic’s peers say the impact of his research has extended beyond skin cancers. “His work with the Translational Genomics Institute played a key role in identifying SMARCA4 as an important molecular trigger of small cell carcinoma of the ovary (SCCO), a devastating disease inflicting girls and young women. This work, initially published in Nature Genetics, subsequently led to R01 funding to identify novel therapeutic targets for treatment of SCCO,” said Larry Pease, Ph.D. (IMM ’84), the Gordon H. and Violet Bartels Professor of Cellular Biology in the department of Immunology, in a statement to the selection committee. Dr. Sekulic says, “It is truly an honor to be named Arizona Investigator of the Year. Throughout my career at Mayo. I’ve been privileged to work with great mentors and colleagues, all of whom share the same goal of making lives better for our patients. “Dr. William Mayo referred to the future as ‘intriguing beyond the power to describe.’ We live in that future. The opportunities to make discoveries and impact the lives of our patients today is unparalleled in history. We are the first generation that thinks it is normal to see a patient with metastatic cancer live cancer-free, years after diagnosis; or to be able to sequence a patient’s genome to find answers and guide their care. And at Mayo, we get to be a part of this every single day. I look forward to continuing to build this bright future with all my colleagues at Mayo Clinic,” says Dr. Sekulic.